As some of you already know, i have been trying to loose weight recently. One of the hardest parts of being on a diet is that i just love my seasonal treats, so to make this diet work, i had to make sure that i still had things i could treat myself too. So what better treat when its getting cold outside than a hot creamy soup. And well this soups are so low calories, you may as well eat as much as you like. 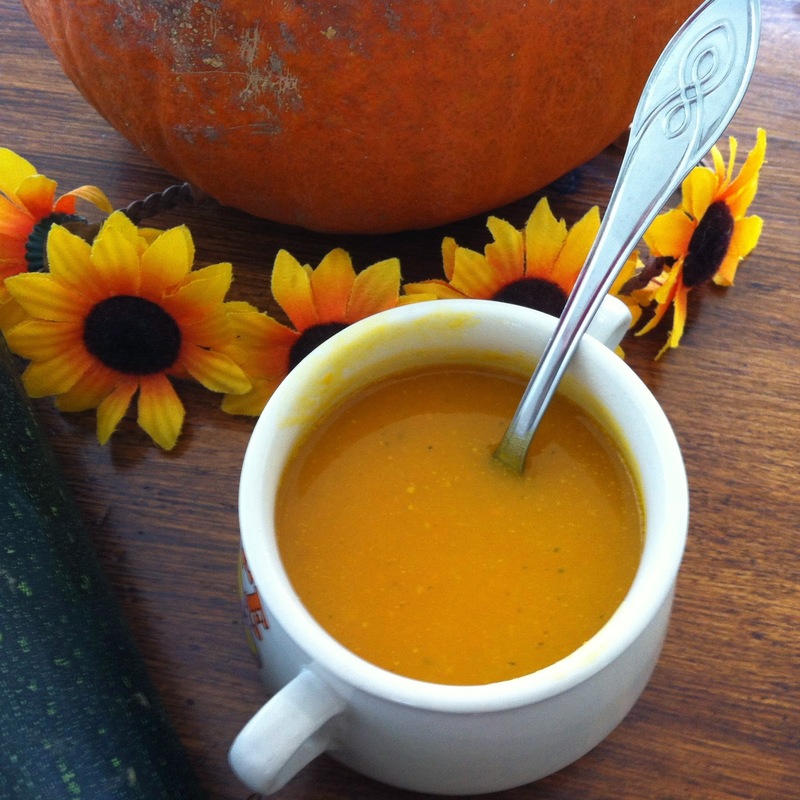 Since i am rather lazy after a long day of work, it is also not supposed to be too much work, so here we go, my lazy, fast and healthy pumpkin soup. Roughly chop the onion and add it alongside with a little butter to a cooking pot. Keep frying them until they turn lightly brown. Add the carrots and let that roast a bit alongside the onions until you get this delicious smell of sweet carrots in your nose. Then you add the pumpkin and let it roast for just a tiny bit longer. You then add about a litre of water (depending on how thin you like your soup) and the two stock cubes and let it simmer until all the veg is nice and soft. Take it off the heat and blend the soup (i have such a staff blender i can hold into the pot for that). After blending make sure that you boil up the soup at least briefly (otherwise it will spoil fast) and add the spices according to taste. Optional: Roast some low fat ham cubes or/and pumpkin seeds and drizzle on the soup. Enjoy your healthy lazy autumn treat.